Yes, zombies do exist. They are hidden in your leads, buried in your email lists and creeping among your automations. Before you get a little red on your shirt or decide that the best plan is to sit in the dark eating peanuts, you should start planning on how to stay alive and keep the zombies away from Pardot. Before I tell you the ways you can get rid of zombies, let me first define what a zombie is. A zombie is a prospect/lead which exists in Pardot and/or Salesforce, but shows no signs of life. In the sales and marketing process map, zombies generally appear after prospects are captured and before leads reach the qualification stage. Zombies can also appear when the marketing and sales process is broken—when leads and contacts are mixed together; when the qualification stage is skipped; or when data integrity isn’t kept while capturing leads. While these process zombies can only be killed at an organizational level, many others can be controlled. Decreased Deliverability. Zombies include fake emails addresses. Not only will they increase bounce and decrease open rates, they will eventually degrade your deliverability for all emails into the inbox. Sales Complaints. If you think marketers hate zombies, try passing large number of zombies as leads to your sales team. Not only will they question lead quality in the future, you might also find your next year’s budget requests being even more hotly debated. Invalid Big Data. Zombies can ruin your plans to use Einstein if your data is full of garbage. Increased Fees. Remember, you are paying to store prospects, living or dead. The more you spend storing zombies in Pardot, the less budget you have for other marketing efforts. Skewed metrics. Zombies are full of invalid values which can skew results in Engagement Programs and continue to linger in drip campaigns, driving down your metrics. Hopefully, you are now convinced that you must deal with zombies. Let’s start solving out your zombie problems in Pardot. The easiest way to rid yourself of zombie leads is to mark them as dead. While you could manually scan and mark your prospects in Pardot or leads in Salesforce, there’s a much easier way. Why not make someone else automatically recognize zombies as dead while you go off to the pub? You can accomplish this task by determining if the email address is valid or not. If the email is invalid, there’s a large chance the other data collected is also bad. For many of you, this seems quite obvious. How many web forms have you completed with a bogus email address and a phone number with a 555 area code? Many of these “fake” leads can be filtered automatically by Pardot if you send an email to new prospects automatically using a form completion action. Pardot will automatically remove any hard bounce emails from your active lists. So, how do you know a valid email from a fake one if you have never sent an email to those addresses? You may think the best solution is to send a blast email to anyone who you have not contacted before. That would be a fatal mistake. A large send to invalid email addresses will instantly damage your deliverability, increasing the chances that your domain will be blocked by ISPs. Yes, an email blast will quickly identify bad email addresses, but it will also hurt your chances of getting into the inbox with your valid ones. Instead, you should take those emails and run them through a data cleaning service like Data Validation or Brite Verify first. A service should be able to remove the worst from your list. Step 2: Put Them on the Cart! Don’t fall victim to the myth that prospects live forever. In most cases, prospects that have not qualified or converted after two years are zombies. In Pardot, you can create various automations that can spot these records and help you remove them. I have included a few variations that might fix your zombie problem. Use an automation rule to create a list of prospects who have not engaged in the last year (You can later suppress or purge). Use the rule criteria “Prospect Time” and the “created days ago” option to filter prospects based on the number of days that have passed since a prospect was created. 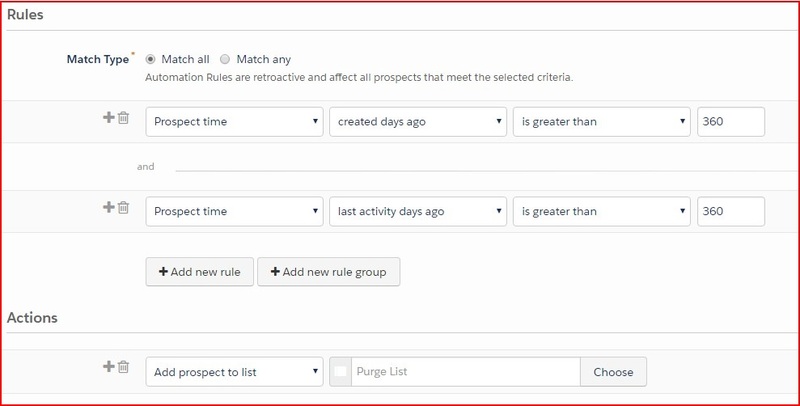 Then use the same rule criteria and the “last activity days ago” option to filter time since the prospect’s last activity (You’ll want to use both criteria to ensure you match only those prospects that are idle and not just recently created). The number of days you use should match your typical sales and marketing cycle. Optionally, you can add the rule criteria “Prospect Email Opens” to just filter out any prospect who only hasn’t opened an email. This could be handy if your website has a large volume of traffic with a low conversion rate to leads. 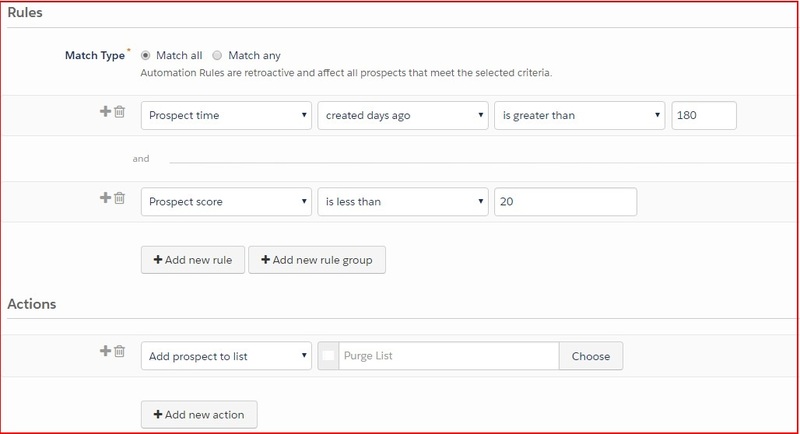 Create an automation rule which adds prospects to a list (to let you suppress or purge later), comprising any prospect over a certain age in the system, with a static or negative score below conversion. This is useful when you have added the Pardot tracking code and use page actions as part of their lead scoring. This list should capture all those zombies who had a single hard bounce or bounced soft ones. These should be reviewed at set intervals to ensure no potential opportunity is ignored because someone fat fingered the email address or a prospect email had a server problem. Pardot does not currently have a delete completion action so you must do this last step manually. The easiest way to manually delete multiple prospects is to use a Table Action from a list. Just follow the steps provided by Pardot and you can purge away all those zombie records. Afterwards, you can go to the Winchester, have a nice cold pint, and wait for all of this to blow over. 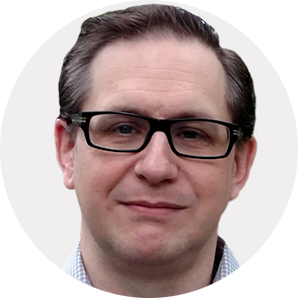 Paul Hancock is a Solutions Architect at ListEngage. He has been in software development and digital marketing for more than 15 years. Prior to ListEngage, Paul worked for ExactTarget and Salesforce specializing in demand generation, mobile, and B2B marketing. Paul’s main focus at ListEngage is supporting clients using Pardot, Salesforce Engage, and Salesforce Marketing Cloud. He also has interests in maritime history, blogging, and photography. Because you need a little ListEngage in your social life.